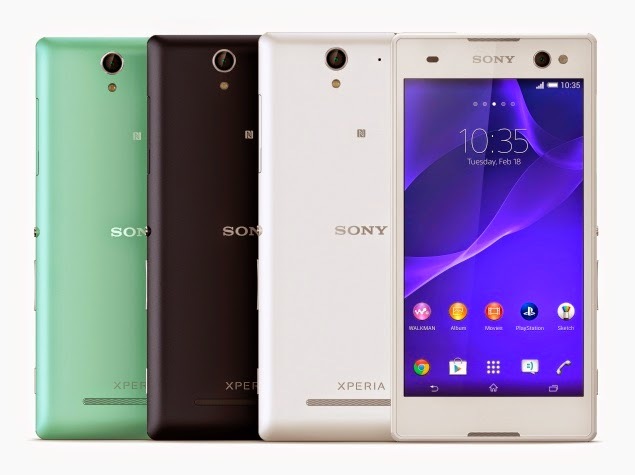 Sony Xperia C3, the latest release by Sony gives priority for selfies.The phone is packed with Android v4.4.2 (KitKat) OS, 5.5 Inches display, 1.2 GHz Quad Core Processor, 1GB RAM, 8MP rear camera, 8GB Internal storage and 2500mAh Li-Ion battery. 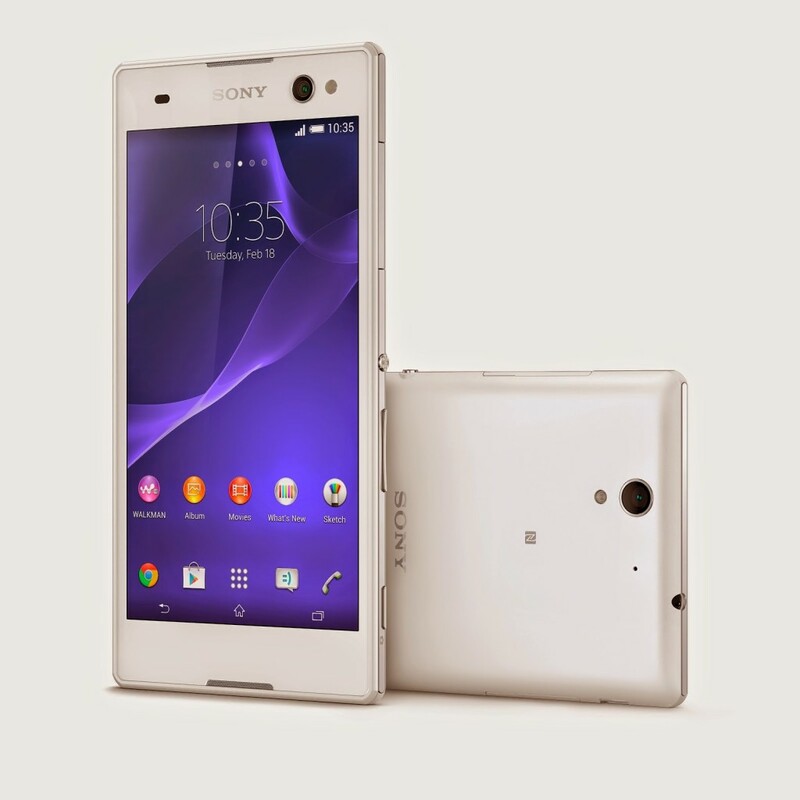 Sony Xperia C3 has 5.5 Inches HD IPS capacitive touch screen with 1280×720 pixels resolutions. Sony used TRILUMINOS Display technology in this phone with Mobile BRAVIA Engine 2 technology. It sport 8MP rear and 5MP front camera. Camera features, LED flash, autofocus, digital zoom, geo-tagging, touch focus, Exmor RS sensor, 1080p@30fps video recording, face and smile detection, HDR, panorama. The phone is packed with Qualcomm Snapdragon 400 SoC which has integrated 1.2 GHz Quad Core processor and Adreno 305 GPU. Sony used 1GB RAM to boost the processing performance. Sony offering 8GB internal storage in this phone which can be further expandable up to 64GB via microSD card. Two variants of this phone is available, one is single SIM and another one is Dual SIM. It will support 2G, 3G and 4G LTE network world wide. The phone has Wi-Fi, Bluetooth and microUSB connectivity. Sony used 2500mAh Li-Ion battery in this phone with battery STAMINA mode.